WELLINGTON (Reuters) – A powerful earthquake rocked New Zealand on Monday killing at least two people, damaging roads and buildings, and prompting a tsunami warning that sent thousands fleeing to higher ground. Emergency response teams were flying by helicopter to the region at the epicenter of the 7.8 magnitude quake, some 91 km (57 miles) northeast of Christchurch in the South Island, amid reports of injuries and collapsed buildings. Hundreds of aftershocks, the strongest measuring 6.1 magnitude, continued to shake the country well into mid-morning, after the initial quake struck minutes after midnight. Powerlines and telecommunications were down, and daylight revealed sizeable cracks in roads and damage to infrastructure. Australian Prime Minister Malcolm Turnbull pledged assistance. The first tremor struck just 23 km (14 miles) deep, jolting many from their sleep and raising memories of the 6.3 magnitude Christchurch quake in 2011, which killed 185 people. 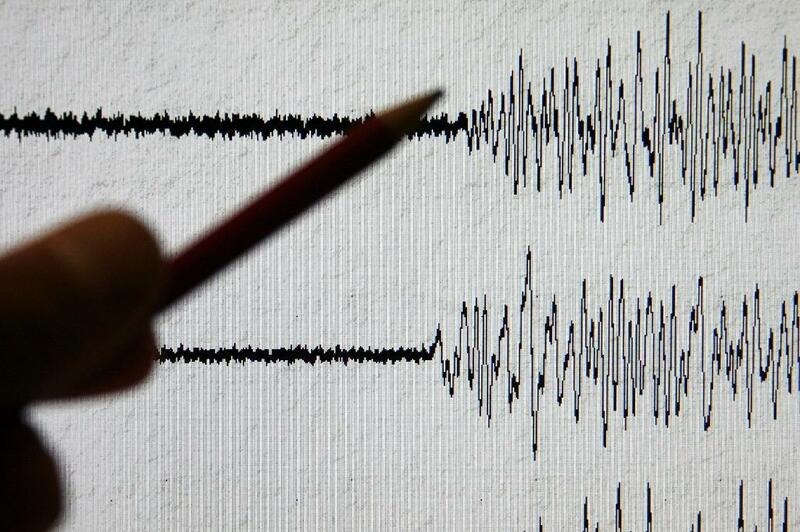 New Zealand’s Geonet measured Monday’s quake at magnitude 7.5, while the U.S. Geological Survey put it at 7.8. But a tsunami warning that led to mass evacuations was downgraded after large swells hit Wellington, in the North Island, and Christchurch, the South Island’s largest city. New Zealand lies in the seismically active “Ring of Fire”, a 40,000 km arc of volcanoes and oceanic trenches that partly encircles the Pacific Ocean. Around 90 percent of the world’s earthquakes occur within this region. Stock exchange operator NZX Ltd said financial markets would be open as usual, although many offices in the capital were closed. The NZX said its Wellington staff were working remotely. A flurry of listed property companies, including Investore Property and Argosy Property , issued notices to the NZX saying they were engaging structural engineers to examine buildings for any damage. Initial inspections showed limited impact. The New Zealand dollar fell as low as $0.7086 after the quake, from around $0.7125 before it struck, but recovered to $0.7110. The 2011 earthquake was not all bad news for the local currency, as it sparked a building boom and resulted in a huge net inflow of insurance payments. Key was meeting national emergency officials later on Monday morning and postponed a trip to Argentina, where he had planned to hold a series of trade meetings ahead of the Asia-Pacific Economic Cooperation (APEC) leaders’ summit in Peru later in the week. Key said he hoped to travel to the tourist town of Kaikoura, which appeared to have borne the brunt of the quake, later on Monday. St. John Ambulance said it was sending helicopters carrying medical and rescue personnel to Kaikoura, where at least one of the casualties was found in a collapsed house. The South Island town, a popular destination for whale watching, was completely cut off and officials said there were reports of a collapsed building. Kevin Heays, of Environment Canterbury in Kaikoura, told Radio New Zealand there had been a lot of damage to roads. Local television reported that water to the town had also been cut off. A Reuters photographer about 60 km from the town reported damage to roads, bridges and railway lines. In Wellington residents caused gridlock on the roads to Mount Victoria, a hill with a lookout over the low-lying coastal city. Around 100 people, including children sleeping on floors and benches, were camped out in the distinctive parliament “Beehive” building. “I never thought I would go to a parliament in my pyjamas,” said German tourist Agatha Blasinski, 35, who had been sleeping in a Wellington backpackers’ hostel when the quake struck. In Christchurch, where tsunami sirens continued intermittently, three evacuation centres were accepting residents. Police set up roadblocks to prevent people from returning to lower-lying coastal areas. Pictures shared on social media showed buckled roads, smashed glass and goods toppled from shelves in shops in Wellington and the upper South Island. There was initial confusion when emergency services first said there was no tsunami threat. Christchurch Civil Defence Controller John Mackie said that while the earthquake was centered inland, the fault line extended offshore for a considerable distance. That meant that seismic activity could cause movement out at sea, leading to a tsunami.